Are you interested in learning about the natural world around us? Attend Gumbo Limbo Nature Center’s environmental lecture series for a presentation by a guest scientist, researcher, or other expert. Talks are followed by light refreshments and an opportunity to talk with the speaker. 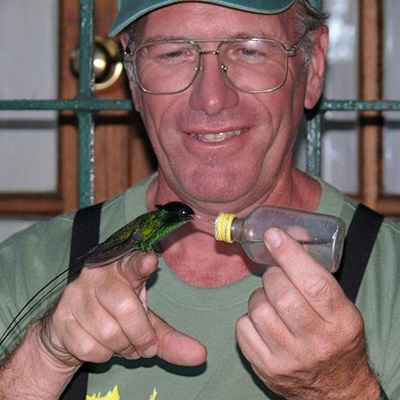 Birder and author Brian Rapoza, Tropical Audubon Society, will share his experience and expertise in S FL migratory bird id with a beautiful photo presentation and “tricks of the trade”! Meet in Gumbo Limbo's Classroom. The classroom in the building behind and to the left of the Nature Center. Recommended for ages 14 and up. Minors under the age of 18 must attend with an adult. A donation of $5 per person is suggested. Register online to donate by credit card. For walk ins, donation by cash or check. Online registration closes at 4:00 pm on the day of a lecture. Walk-ins welcome; space is limited.